As tax season heats up, there are a few things we would like to update you on. They are not changes but just some helpful information. First, we’d like to talk about the new e-file system the IRS put into place this year. They sent us an announcement that it is supposed to be faster and more efficient and that people would receive their refunds sooner than in past years – BUT they did not test it before tax season started. It did not instill much confidence in us, but we tried to keep an open mind. As it turns out, during the first ten days of February the system got clogged up and refunds were delayed 2 to 3 weeks. Many people, including us, were very frustrated. The good news is that the system seems to be running more smoothly now. Our IRS provided charts are not exactly accurate but they are close. Also, if you are looking on the IRS website to see the status of your refund and it is not showing up, don’t panic. There have been many times when the information doesn’t show up on the site until a day or two before the refund is to be deposited. It is a flaw in the system that hasn’t been completely resolved. Moving forward, there has been some confusion about personal property taxes. In most states, when you license your vehicle, boat, trailer, motorcycle you are charged a property tax or fee. Some of these fees are deductible and some are not. The type of fee or tax that is deductible is called an Ad Valorem tax. An Ad Valorem tax is a tax on personal property that is determined by the value of the property. If the tax is determined by age or weight, it is not Ad Valorem and is not deductible. Before you give your information to your tax preparer check with your department of motor vehicles and ask them how they determine the tax. Usually it does not make a big difference on your taxes, but if it is deductible, it can lower your tax liability. One last thing, personal income taxes are due on April 17th this year. The 15th is on Sunday and the 16th is a holiday only in Washington DC called Enumeration Day. So that puts us out until the 17th. Be careful not to use this as an excuse to delay getting your information together and your taxes done. Your tax preparer will be happy if you can get them your info ASAP. Be sure to check out more tax tips at www.avoidbeingaudited.com. This week we have a special post. We came across a blog with an infographic all about payroll and tax deductions. Infographics are a new technique used to make complicated material easier to understand and fun to look at. This infographic does a great job explaining payroll and tax deductions so we thought we would share. This we found this infographic at http://www.coolinfographics.com/blog/2012/2/28/payroll-and-tax-deductions.html. 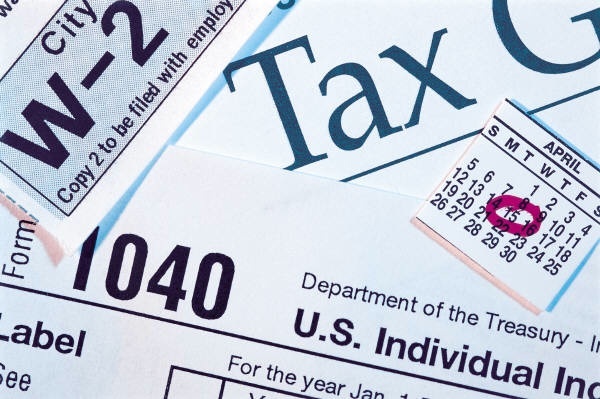 To learn more about taxes and tax deductions check out our website www.avoidbeingaudited.com.